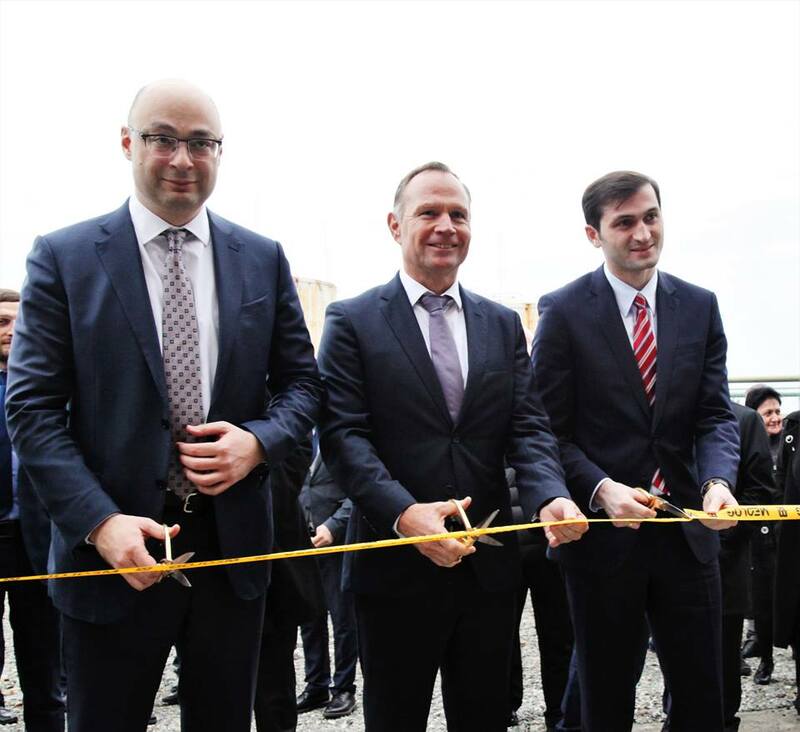 Tornike Rijvadze, the Chairman of Ajara AR Government together with George Kobulia, the Minister of Economy and Sustainable Development of Georgia opened a multi-modal reset terminal on the territory of Batumi International Container Terminal. Implementation of these infrastructural projects significantly improves the efficiency and quality of service of the container terminal and port that will further strengthen the region's economy. Tornike Rijvadze talked about a historic importance and strategic purpose of Batumi Sea Port. ‘An important infrastructural project was added to the city. Multi-modal terminal will help to double cargo turnover at Batumi sea port, that will enable local economy development, employ more people. Our stated priority is to turn our country into a regional hub for logistics and transport. That is why this new, modernized infrastructure is important to achieve this goal,’ - Chairman of the Government of Adjara said at the opening ceremony of Terminal. Renewed terminal and infrastructure will double the terminal throughput. Warehouse infrastructure and closed modern warehouse were set up on 2 ha territory by the joint effort of Medlog Georgia Ltd and BICT - Batumi International Container Terminal LLC. Works beneath the surface were carried out successfully. As a result, it is possible to get container ships with 11 m water discharge on the Batumi Container Terminal, which significantly increase the operational capabilities and ensures the competitiveness of the service.